Table 1. Treatment of cerebral malaria. Table 3. Adjunctive therapy in cerebral malaria. Table 4. Curcumin examined for possible effects on animal models of malaria. Cerebral malaria is the most severe and rapidly fatal neurological complication of Plasmodium falciparum infection and responsible for more than two million deaths annually. The current therapy is inadequate in terms of reducing mortality or post-treatment symptoms such as neurological and cognitive deficits. The pathophysiology of cerebral malaria is quite complex and offers a variety of targets which remain to be exploited for better therapeutic outcome. The present review discusses on the pathophysiology of cerebral malaria with particular emphasis on scope and promises of curcumin as an adjunctive therapy to improve survival and overcome neurological deficits. Till now, no effective vaccine is available against malaria because of the antigenic variation and complexity of parasite biology. The current therapy for management of CM is based on parenteral administration of either quinine or artemisinin derivatives such as artemether and artesunate. However, the emergence of drug resistance of P. falciparum to anti-malarials poses a serious challenge to malaria control. In addition, there are several non-parasitic events that contribute to pathogenesis of CM. The current therapy is aimed at reducing parasite burden and is inadequate in terms of reducing mortality or post-treatment symptoms such as neurological and cognitive deficits. These facts necessitate novel interventions for better therapeutic outcome in CM. Therefore, there is an urgent need to develop new antimalarial drugs, drug combinations or alternative strategies for the management of CM. The present review discusses on the pathophysiology of CM with particular emphasis on the use of curcumin, a natural polyphenol, as an adjunctive therapy. Management of severe malaria comprises of four main areas: clinical assessment of patient, specific antimalarial treatment, adjunctive therapy, and supportive care. An open airway must be maintained in unconscious patients and breathing and circulation should be assessed. The patients should be weighed so that treatment can be done accordingly. Blood glucose, hematocrit/hemoglobin, parasitemia and renal functions must be assessed. The coma can be assessed using Glasgow scale in adults and Blantyre scale in children. Cerebrospinal fluid analysis shall be carried out to exclude bacterial meningitis as it may co-exist in endemic areas. Specific antimalarial treatment is described in Table 1. In attempt to reduce high mortality rate in severe malaria various adjunctive treatments have been suggested and are summarized in Table 2. Reproduced with permission from Ref.9. Patients with severe malaria require intensive nursing care. Clinical observations such as coma and other vital signs should be monitored regularly. Blood glucose should be monitored every 4h. Fluid requirement should be assessed individually. Patients with intravascular coagulation should be given fresh whole blood transfusion and vitamin K. Any concomitant infections should be treated with antibiotics based on culture and sensitivity results. Malaria is a protozoal disease of humans and its neurological complication, CM is a multisystem multi-organ dysfunction which is arguably one of the most common non-traumatic encephalopathies in the world.10 The pathogenesis of CM is still not fully understood because the animal models do not recapitulate human disease completely. Thereby, in vivo and in vitro models are useful for hypothesis generation but proof of causation in clinical pathogenesis, naturally, must be investigated in human patients. The combination of both parasite and host factors is involved in the pathogenesis of CM. The blood–brain barrier (BBB) breakdown during cerebral malaria pathogenesis. The diagram shows the events and the possible mechanisms that play a vital role in CM. The mature forms (trophozoites and schizonts) of parasitized red blood cells (PRBCs), host leukocytes and platelet-fibrin thrombi adhere to the cerebral endothelial cells and sequester in large numbers in the brain. This cytoadherence, combined with other events such as rosetting, auto-agglutination, clumping and decreased RBCs and PRBCs deformability causes altered blood flow leading to impaired tissue perfusion and hypoxia. Further, sequestered parasites produce local toxins which lead to recruitment of leukocytes and platelets followed by the release of inflammatory cytokines (IL-1, IL-6, TNF, LT, and NO) and microparticles. These mediators lead to endothelial cells activation and apoptosis, BBB breakdown, increased junctional permeability, followed by secondary neuropathological events that can lead to cerebral edema or coma. Sequestration of PRBCs within microvasculature increases cerebral volume, which together with increased cerebral blood flow from seizures, anemia and hyperthermia and altered BBB function lead to cerebral edema and raised intracranial pressure. This may result in death or neuronal damage with consequent neurocognitive sequelae in the survivors. The adherence of NPRBCs to PRBCs (rosetting) and PRBCs to PRBCs (agglutination) could further compromise microcirculatory flow that leads to impaired tissue perfusion, hypoxia and creates a toxic local environment.15 This phenomenon is more prevalent in patients with CM than in patients of uncomplicated malaria. The var genes seem to be responsible for rosetting and are sensitive to pH and heparin.38 Rosettes can be disrupted by antibodies against P. falciparum, glycosaminoglycans and sulfated glycoconjugates which is strain-specific.39,40 Rosette formation in vitro indicates the clogging of vascular lumen by interaction of NPRBCs and PRBCs with endothelium. However, PRBCs causes the cytoadherence but not all form rosettes.41 Interestingly, epidemiological studies have shown the association of rosette forming strains with the development of severe disease but most clinical studies have failed to show such an association.38,42 Red blood cells in thalassemic and sickle cell anemia patients have weak binding abilities forming small and weak rosettes. This decreased rosetting ability provides natural protection against development of CM in such patients.43 Thus, it can be concluded that a compromised microcirculation, with sequestration of parasitized erythrocytes due to reduced red cell deformability and the sticky forces related to rosetting and auto-agglutination, is central in the pathogenesis. The cause of impaired consciousness is still unclear but it is likely to result from the in homogenous obstruction of the cerebral microcirculation by sequestered parasitized erythrocytes causing dysoxia and results in lactate production by the brain.53 Apart from NO mediated loss of consciousness various host and parasite derived factors may be involved in pathogenesis of coma. Further, autopsy studies indicate the axonal dysfunction which may arise due to accumulation of β-amyloid precursor protein. This could in turn contribute to the reversible neurological dysfunction in CM.54 However, the cause of coma in CM and the role of dysoxia and axonal dysfunction still remains unclear. Severe malaria patients are associated with an increased production of ROS by the phagocytic cells which in turn are responsible for the tissue damage. However, it was suggested that ROS plays a role in host defense mechanism against the parasite.55 Thus, likewise NO, ROS too can have both beneficial and pathological roles. Oxidative stress (OS) plays a vital role in malaria parasite-infected erythrocytes and at the same time OS represents a most promising rationale for designing the anti-malarial chemotherapy. This has been indicated by the glucose-6-phosphate dehydrogenase deficiency which makes the malarial parasites highly susceptible to alterations in the redox equilibrium. This in turn contributes to disease manifestation including sequestration, cerebral pathology, anemia and respiratory distress.56 However, the redox interactions between the malarial parasite and that of their host are complex. Due to high metabolic rate of the rapidly growing and multiplying parasite, detoxification of ROS becomes a key challenge for infected erythrocytes. Central to the generation of toxic redox-active-by-products is the degradation of host hemoglobin by the Plasmodium. Hemoglobin represents the major source of aminoacids for Plasmodium, but its degradation in an acidic food vacuole results in the production of toxic free heme (ferri/ferroprotoporphyrin IX; FP) and ROS which in turn confers oxidative insult on the host cell. Hemozoin or malaria pigment is a crystalline form of free heme. Even if only a small amount (e.g. 0.5%) of the free heme escapes the neutralization processes, it could cause OS to host proteins and membranes, inhibit parasite enzymes and hemolysis.57 In addition, the production of ROS by the host immune system also contributes to the overall oxidative burden of the infected erythrocyte. In order to maintain the redox status, malarial parasite possesses an efficient enzymatic antioxidant defense system including glutathione- and thioredoxin-dependent proteins as well as superoxide dismutase.56 In this regard, targeting the parasite antioxidant defense system might be useful for designing antiparasitic medication. Indeed, a number of potential new drugs currently in clinical use, especially the artemisinins appear to act by alkylation of heme or protein to form a cytotoxic carbon-centred radical intermediate that further interfere with the redox metabolism of malarial parasite.58 It seems likely that the lethal effects of endoperoxide antimalarial are due to targeted damage of particular enzymes or membrane proteins by free radical species rather than non-specific damage caused by freely diffusing ROS.59 Some antioxidants adjunctive therapy have been evaluated in humans and mice (Table 3). Adjunctive therapy in cerebral malaria. Pathological changes to BBB dysfunction may be broadly divided into systemic effects of severe disease such as acidosis or hypoxia due to anemia and local factors include adherence of PRBCs, host leukocytes and platelets to the ECs, rosetting, sequestration, microvascular obstruction, release of cytokines and parasite toxins. These cascade of events cause direct cellular damage and may initiate signalling within ECs that could influence junctional protein expression, and also directly activate or damage peri- and paravascular cells such as microglia, astrocytes and neurons and parenchymal effector cells.14 It is believed that cerebral microvascular engorged by cytoadherent parasitized erythrocytes results in a cascade of intracellular signalling events that disrupts the cytoskeleton-cell junction structure and increases the junctional permeability of the BBB and suppresses activation of dendritic cell and macrophages.12 Thus, dysfunction of BBB initiates the progression of secondary processes of neuropathological injury. Studies have shown that PRBCs adhesion to ECs induces cell apoptosis via over expression of cytoadherent molecules, expression of iNOS and OS.64 Further, in vivo studies in mice model of CM have implicated cytotoxic effector CD8+T lymphocytes in development of murine CM pathogenesis by direct cytotoxicity against ECs.65 Thus, apoptosis and cytotoxicity may lead to disruption of BBB and endothelial damage. Though most of the patients suffering from CM make a full recovery, survivors have been found to be associated with neurological sequelae.9 CM sequelae seem to be of multifactorial origin, although their cause is largely unknown. These impairments are rarely observed in adults (<1%) but are more common in children (approx∼12%) particularly in sub-Saharan Africa.68 The symptoms include hemiplegia or quadriparesis, cortical blindness, deafness, ataxia, severe hypotension and aphasia.69 The sequelae reported include protracted seizures, prolonged and deep coma, hypoglycemia and sometimes severe anemia.9 Some of these symptoms resolve over a period of 1–6 months in 50% of the children. However, 25% of children with successfully treated CM are left with residual cognitive and neurological deficits such as memory disturbances, speech and language difficulties, disorders of attention, seizures, visuo-spatial and motor deficits.70 These deficits have been determined to persist after cessation of therapy with follow-up periods extending to nine years after infection.71 These cognitive deficits occur as a result of complicated host inflammatory response in conjunction with vascular impairment, causing abnormalities in neuronal cells, which adversely affect cognitive function. To date, there is no therapy targeting the cognitive and motor deficits seen after successful antimalarial therapy in experimental CM. Hence, the role of immunomodulator needs to be assessed as an adjunctive therapy in CM. Immunopathogenesis of vivax malaria is poorly understood. However, it was found that Brazilian patients with severe vivax malaria had elevated levels of inflammatory cytokines TNF-α and IFN-γ, increased IFN-γ/IL-10 ratio and superoxide dismutase (SOD-I).83 The level of TNF-α and other inflammatory cytokines are higher during P. vivax infections compared to P. falciparum infections with same parasite load. Plasma concentration of microparticles was found to be elevated in individual with P. vivax infections.84 In contrast to P. falciparum, P. vivax has low parasite biomass and is considered unable to cytoadhere or sequester. However, recently P. vivax infected RBCs have been shown to cytoadhere to ECs via chondroitin sulfate-A and ICAM-1 although at 10-fold lesser frequency than P. falciparum.85 This could be reason for lower incidence of coma in vivax malaria and coma is perhaps of systemic metabolic origin.86 The degree of endothelial activation is greater in vivax than falciparum malaria. Rosetting in P. vivax has not been well documented and has not been associated with disease severity. The difficulty of growing P. vivax in vitro and absence of specific and reliable biomarkers have lead to little knowledge about its pathogenesis and severe cases. In areas where both multidrug resistant P. falciparum and P. vivax are prevalent, infants and young children are at greater risk of acquiring P. vivax infection than P. falciparum infection.87 Thus, an immunomodulator may have a potential role in severe vivax infections. Curcumin is from natural sources of long-term use, and as such, no resistance is known to curcumin that is present in a dietary supplement. It is tolerated at very high doses, and as much as 8g/day has been given for three months to cancer patients on trial without toxic side effects.95 A large number of in vitro and in vivo studies in both animals and humans have indicated that curcumin exhibits promising pharmacological activities including antioxidant, anti-inflammatory, anti-angiogenic, anti-spasmodic, anti-microbial and anti-plasmodial activities. Accumulating evidence suggests that curcumin has a diverse range of molecular targets, supporting the concept that it acts upon numerous biochemical and molecular cascades (Fig. 3). Molecular targets of curcumin in cerebral malaria. In the context of malaria, curcumin has been shown to possess moderate antimalarial activity with IC50 value of 5–18μM.96,97 Further, curcumin analogues were synthesized having much more potent antimalarial activity with IC50 value of 400nM. With the use of the CM model in mice, it has been shown that curcumin have potent activity against Plasmodium berghei and it is able to prevent CM and delay death of animals by about 10 days.4,98 In addition to having a direct killing effect as an antimalarial, curcumin is also able to prime the immune system against P. berghei.98 Curcumin possesses both anti-oxidant and pro-oxidant activity. Curcumin has shown to enhance ROS generation in concentration range of 20–100μM.99 The efficacy of curcumin has been tested in different models of CM (Table 4). Curcumin examined for possible effects on animal models of malaria. NF-κB (nuclear factor κ beta) plays a vital role in malaria as evidenced by PRBCs that have shown to induce NF-κB regulated inflammatory pathway in human cerebral endothelium. The deciphering of anti-malarial activity in curcumin against the blood phase of the life cycle may leads to its role in regulation of NF-κB. Curcumin has profound anti-inflammatory activity and might exert its therapeutic effects by pro-inflammatory cytokine production and expression of cytoadhesion molecules on ECs.100 Curcumin has shown to reduce the production of proinflammatory cytokines such as TNF, IL12 and IL6 in vitro.101 It can be concluded that curcumin can effectively control neuroinflammation and damage due to inflammatory cascade as a result of host immune response and thereby prevent cognitive deficits in CM survivors. All these mechanisms suggest curcumin as an immunomodulator which may alleviate CM. Paradoxically the rate of new drug delivery in case of malaria has been very low. The global response to this crisis has been inadequate. There are few new chemical entities in preclinical and clinical phases but these efforts could take considerable time to fructify. So far the attempts have been limited to explore the use of immunomodulator in combination with conventional drugs for CM. Thus, this review highlights the potential of a plant based immunomodulator curcumin as an adjunctive therapy for better management and improvement of survival and overcoming the neurocognitive deficits in CM patients. It may be a useful strategy to complement the direct antiparasitic efficacy of currently used antimalarials and also limit the emergence of resistant parasites. Mr. Kunal Jain is grateful to Council of Scientific and Industrial Research (CSIR), New Delhi, India for financial assistance in the form of Senior Research Fellowship (File No. : 8/484 (0006)/2012-EMR-I). Mr. Sumeet Sood wish to express his gratitude to Department of Science and Technology (DST), New Delhi, India for award of INSPIRE Fellowship (IF10316). M. Joshi, S. Pathak, S. Sharma, V. Patravale. World Malaria Report 2010. World Health Organization, Geneva. A. Kiszewski, B. Johns, A. Schapira, et al. Estimated global resources needed to attain international malaria control goals. J.H. Waknine-Grinberg, J.A. Mcquillan, N. Hunt, H. Ginsburg, J. Golenser. Modulation of cerebral malaria by fasudil and other immune-modifying compounds. Guidelines for the treatment of malaria. Pathophysiology, clinical presentation and treatment of cerebral malaria. R. Idro, K. Marsh, C.C. John, C.R.J. Newton. Cerebral malaria: mechanisms of brain injury and strategies for improved neuro-cognitive outcome. F. Gay, S. Zougbédé, N. N’Dilimabaka, A. Rebollo, D. Mazier, A. Moreno. Cerebral malaria: what is known and what is on research. R. Idro, N.E. Jenkins, C.R. Newton. Pathogenesis, clinical features, and neurological outcome of cerebral malaria. P.F. Beales, B. Brabin, E. Dorman, et al. N. Coltel, V. Combes, N.H. Hunt, G.E. Grau. Cerebral malaria – a neurovascular pathology with many riddles still to be solved. Immunological processes in malaria pathogenesis. V. Combes, N. Coltel, D. Faille, S.C. Wassmer, G.E. Grau. Cerebral malaria: role of microparticles and platelets in alteration of the blood–brain barrier. Human cerebral malaria and blood–brain barrier. R.J.C. Newton, T.T. Hien, N. White. P. Borst, W. Bitter, R. McCulloch, F. Leeuwen, G. Rudenko. Antigenic variation in malaria: mini review. P.H. David, M. Hommel, R.H. Miller, I.J. Udeinya, L.D. Oligino. Parasite sequestration in Plasmodium falciparum malaria: spleen and antibody modulation of cytoadherence of infected erythrocytes. M. Aikawa, K. Kamanura, S. Shiraishi, et al. Membrane knobs of unfixed Plasmodium falciparum infected erythrocytes: new findings as revealed by atomic force microscopy and surface potential spectroscopy. K. Silamut, N.H. Phu, C. Whitty, et al. A quantitative analysis of the microvascular sequestration of malaria parasites in the human brain. S.A. Kyes, S.M. Kraemer, J.D. Smith. Antigenic variation in Plasmodium falciparum: gene organization and regulation of the var multigene family. Roles of surface antigens on malaria-infected red blood cells in evasion of immunity. B. Cooke, R. Coppel, M. Wahlgren. Falciparum malaria: sticking up, standing out and out-standing. G.D.H. Turner, H. Morrison, M. Jones, et al. An immunohistochemical study of the pathology of cerebral malaria. Evidence for widespread endothelial activation and a potential role for intercellular adhesion molecule-1 in cerebral sequestration. S.C. Wassmer, C. Lepolard, B. Traore, B. Pouvelle, J. Gysin, G.E. Grau. Platelets reorient Plasmodium falciparum-infected erythrocyte cytoadhesion to activated endothelial cells. L. Hviid, T.G. Theander, I.M. Elhassan, J.B. Jensen. Increased plasma levels of soluble ICAM-1 and ELAM-1 (E-selectin) during acute Plasmodium falciparum malaria. M.S. Diamond, D.E. Staunton, A.R. Fougerolles, et al. ICAM-1 (CD54): a counter receptor for Mac-1 (CD11b/CD18). M.L. Dustin, R. Rothlein, A.K. Bhan, C.A. Dinarello, T.A. Springer. Induction of IL-l and interferon gamma: tissue distribution, biochemistry, and function of a natural adherence molecule (ICAM-1). T. Collins, M.A. Read, A.S. Neish, et al. Transcriptional regulation of endothelial cell adhesion molecules: NF-kappa Band cytokine-inducible enhancers. Neuroinflammation in Alzheimer's disease: different molecular targets and potential therapeutic agents including curcumin. D.K. Kaul, X.D. Liu, R.L. Nagel, H.L. Shear. Microvascular hemodynamic and in vivo evidence for the role of intercellular adhesion molecule-1 in the sequestration of infected red blood cells in a mouse model of lethal malaria. K.R. Hughes, G.A. Biagini, A.G. Craig. Continued cytoadherence of Plasmodium falciparum infected red blood cells after antimalarial treatment. T.E. Taylor, W.J. Fu, R.A. Carr, et al. Differentiating the pathologies of cerebral malaria by postmortem parasite counts. A.M. Dondorp, V. Desakorn, W. Pongtavornpinyo, et al. Estimation of the total parasite biomass in acute falciparum malaria from plasma PfHRP2. K. Marsh, V.M. Marsh, J. Brown, H.C. Whittle, B.M. Greenwood. Plasmodium falciparum: the behavior of clinical isolates in an in vitro model of infected red blood cell sequestration. A.M. Dondorp, C. Ince, P. Charunwatthana, et al. Direct in vivo assessment of microcirculatory dysfunction in severe falciparum malaria. L.H. Miller, S. Usami, S. Chien. Alteration in the rheologic properties of Plasmodium knowlesi infected red cell. A possible mechanism for capillary obstruction. A.M. Dondorp, B.J. Angus, M.R. Hardeman, et al. Prognostic significance of reduced red cell deformability in severe falciparum malaria. J. Carlson, H. Helmby, M. Wahlgren, A.V.S. Hill, D. Brewster, B.M. Greenwood. Human cerebral malaria: association with erythrocyte rosetting and lack of anti-rosetting antibodies. C.J. Treutiger, I. Hedlund, H. Helmby, et al. Rosette formation in Plasmodium falciparum isolates and anti-rosette activity of sera from Gambians with cerebral or uncomplicated malaria. A. Barragan, D. Spillmann, P.G. Kremsner, M. Wahlgren, J. Carlson. P.H. David, S.M. Handunetti, J.H. Leech, P. Gamage, K.N. Mendis. Rosetting: a new cytoadherence property of malaria infected erythrocytes. F. Al-Yaman, B. Genton, D. Mokela, et al. Human cerebral malaria: lack of significant association between erythrocyte rosetting and disease severity. J. Carlson, G.B. Nash, V. Gabutti, F. al-Yaman, M. Wahlgren. Natural protection against severe Plasmodium falciparum malaria due to impaired rosette formation. V. Combes, F. El-Assaad, D. Faille, R. Jambou, N.H. Hunt, G.E.R. Grau. Microvesiculation and cell interactions at the brain-endothelial interface in cerebral malaria pathogenesis. T. Nebl, M.J. De Veer, L. Schofield. Stimulation of innate immune responses by malarial glycosylphosphatidylinositol via pattern recognition receptors. P. Jacobs, D. Radzioch, M.M. Stevenson. A Th1-associated increase in tumor necrosis factor alpha expression in the spleen correlates with resistance to blood-stage malaria in mice. G.E. Grau, T.E. Taylor, M.E. Molyneux, et al. Tumor necrosis factor and disease severity in children with falciparum malaria. V. Combes, A.C. Simon, G.E. Grau, et al. In vitro generation of endothelial microparticles and possible prothrombotic activity in patients with lupus anticoagulant. I.A. Clark, K.A. Rockett, W.B. Cowden. Possible central role of nitric oxide in conditions clinically similar to cerebral malaria. K.A. Rockett, M.M. Awburn, W.B. Cowden, I.A. Clark. Killing of Plasmodium falciparum in vitro by nitric oxide derivatives. B. Gyan, M. Troye-Blomberg, P. Perlmann, A. Björkman. Human monocytes cultured with and without interferon-gamma inhibit Plasmodium falciparum parasite growth in vitro via secretion of reactive nitrogen intermediates. P. Sobolewski, I. Gramaglia, J. Frangos, M. Intaglietta, H.C. van der Heyde. Nitric oxide bioavailability in malaria. K. Chotivanich, J. Sritabal, R. Udomsangpetch, et al. Platelet induced autoagglutination of Plasmodium falciparum-infected red blood cells and disease severity in Thailand. I.M. Medana, N.P. Day, T.T. Hien, et al. Axonal injury in cerebral malaria. B. Descamps-Latscha, F. Lunel-Fabiani, A. Kara-Binis, P. Druilhe. Generation of ROS in whole blood from patients with acute falciparum malaria. K. Becker, L. Tilley, J.L. Vennerstrom, D. Roberts, S. Rogersone, H. Ginsburg. Oxidative stress in malaria parasite-infected erythrocytes: host–parasite interactions. L. Tilley, P. Loria, M. Foley. Chloroquine and other quinoline antimalarials. P.L. Olliaro, R.K. Haynes, B. Meunier, Y. Yuthavong. Possible modes of action of the artemisinin-type compounds. A. Robert, O. Dechy-Cabaret, J. Cazelles, B. Meunier. From mechanistic studies on artemisinin derivatives to new modular antimalarial drugs. The blood–brain barrier/neurovascular unit in health and disease. S. Adams, H. Brown, G. Turner. Breaking down the blood–brain barrier: signaling a path to cerebral malaria. I.M. Medana, G. Chaudhri, T. Chan-Ling, N.H. Hunt. Central nervous system in cerebral malaria: ‘Innocent bystander’ or active participant in the induction of immunopathology. F. Esamai, S. Mining, P. Forsberg, D.H. Lewis. A comparison of brain, core and skin temperature in children with complicated and uncomplicated malaria. P. Pino, I. Vouldoukis, J.P. Kolb, et al. Plasmodium falciparum-infected erythrocyte adhesion induces caspase activation and apoptosis in human endothelial cells. C. Claser, B. Malleret, S.Y. Gun, et al. CD8+ T cells and IFN-gamma mediate the time-dependent accumulation of infected red blood cells in deep organs during experimental cerebral malaria. The movement of fluorescent isothiocyanate (F.I.T.C.) labelled human albumin from blood into brain tissue examined by fluorescent technique in normal and Plasmodium knowlesi infected Macaca mulatta. C.R. Newton, J. Crawley, A. Sowumni, et al. Intracranial hypertension in Africans with cerebral malaria. The South east Asian quinine artesunate malaria trial (seaquamat) group. Artesunate versus quinine for treatment of severe falciparum malaria: a randomised trial. D.R. Brewster, D. Kwiatkowski, N.J. White. Neurological sequelae of cerebral malaria in children. P.A. Holding, J. Stevenson, N. Peshu, K. Marsh. M. Dai, S.E. Reznik, D.C. Spray, et al. Persistent motor and cognitive deficits after successful antimalarial treatment in murine cerebral malaria. M. Kihara, J.A. Carter, P.A. Holding, et al. Impaired everyday associated with encephalopathy of severe malaria: the role of seizures and hippocampal damage. Severe falciparum malaria in children: current understanding of pathophysiology and supportive treatment. R.N. Price, E. Tjitra, C.A. Guerra, S. Yeung, N.J. White, N.M. Anstey. E.A. Pereira, E.A.Y. Ishikawa, C.J.F. Fontes. 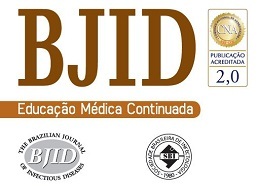 Adherence to Plasmodium vivax malaria treatment in the Brazilian Amazon region. F.T.M. Costa, S.C.P. Lopes, L. Albrecht, et al. On the pathogenesis of Plasmodium vivax malaria: perspectives from the Brazilian field. R. Thapa, V. Patra, R. Kundu. N.M. Anstey, T. Handojo, M.C. Pain. Lung injury in vivax malaria: pathophysiological evidence for pulmonary vascular sequestration and post-treatment alveolar capillary inflammation. L. Price, T. Planche, C. Rayner, S. Krishna. Acute respiratory distress syndrome in Plasmodium vivax malaria: case report and review of the literature. N.M. Anstey, B. Russell, T.W. Yeo, R.N. Price. The pathophysiology of vivax malaria. B.B. Andrade, A. Reis-Filho, S.M. Souza-Neto, et al. Severe Plasmodium vivax malaria exhibits marked inflammatory imbalance. F.M. Campose, B.S. Franklin, A. Teixeira-Carvalho, et al. Augmented plasma microparticles during acute Plasmodium vivax infection. B.O. Carvalho, S.C. Lopes, P.A. Nogueira, et al. On the cytoadhesion of Plasmodium vivax infected erythrocytes. Severe vivax malaria: newly recognised or rediscovered?. J.R. Poespoprodjo, W. Fobia, E. Kenangalem, et al. Vivax malaria: a major cause of morbidity in early infancy. A.L. Bienvenu, J. Ferrandiz, K. Kaiser, C. Latour, S. Picot. Artesunate-erythropoietin combination for murine cerebral malaria outcome. Cytokines: accelerators and brakes in the pathogenesis of cerebral malaria. P.A. Reis, C.M. Comim, F. Hermani. Cognitive dysfunction is sustained after rescue therapy in experimental cerebral malaria, and is reduced by additive antioxidant therapy. A.M. Dondorp, F. Omodeo-Sale, K. Chotivanich, D. Taramelli, N.J. White. Oxidative stress and rheology in severe malaria. N.J. White, G.D. Turner, I.M. Medana, A.M. Dondorp, N.P. Day. The murine cerebral malaria phenomenon. K. Jain, K. Gowthamarajan, S. Sood, K. Elango, B. Suresh. Olfactory drug delivery of artemether-curcumin combination for management of cerebral malaria. A.B. Kunnumakkara, P. Anand, B.B. Aggarwal. Curcumin inhibits proliferation, invasion, angiogenesis and metastasis of different cancers through interaction with multiple cell signalling proteins. A.L. Cheng, C.H. Hsu, J.K. Lin, M.M. Hsu, Y.F. Ho, T.S. Shen. Phase I clinical trial of curcumin, a chemopreventive agent, in the patients with high-risk or pre-malignant lesions. R.C. Reddy, P.G. Vatsala, V.G. Keshamouni, G. Padmanaban, P.N. Rangarajan. D.N. Nandakumar, V.N. Nagaraj, P.K. Vathsala, P. Rangarajan, G. Padamanaban. Curcumin-artemisinin combination therapy for malaria. P.G. Vathsala, C. Dende, V.A. Nagaraj, et al. Curcumin-arteether combination therapy of Plasmodium berghei-infected mice prevents recrudescence through immunomodulation. L. Cui, J. Miao, L. Cui. Cytotoxic effect of curcumin on malarial parasite Plasmodium falciparum: inhibition of histone acetylation and generation of reactive oxygen species. P.N. Mimche, D. Taramelli, L. Vivas. The plant-based curcumin as a potential candidate for the development of an adjunctive therapy for cerebral malaria. J. Golenser, J. McQuillan, L. Hee, A.J. Mitchell, N.H. Hunt. Conventional and experimental treatment of cerebral malaria. Peroxisome proliferator-activated receptor gamma-retinoid X receptor agonists increase CD36-dependent phagocytosis of Plasmodium falciparum-parasitized erythrocytes and decrease malaria induced TNF-alpha secretion by monocytes/macrophages. S.A. Rushworth, R.M. Ogborne, C.A. Charalambos, M.A. O’Connell. Role of protein kinase C [delta] in curcumin-induced antioxidant response element-mediated gene expression in human monocytes. N.G. Innamorato, A.I. Rojo, A.J. Garcia-Yague, M. Yamamoto, M.L. de Ceballos, A. Cuadrado. The transcription factor Nrf2 is a therapeutic target against brain inflammation. L. Zhang, Z.L. Gu, Z.H. Qin, Z.Q. Liang. Effect of curcumin on the adhesion of platelets to brain microvascular endothelial cells in vitro. J.G. Bilmen, S.Z. Khan, M.H. Javed, F. Michelangeli. Inhibition of the SERCA Ca2+ pumps by curcumin: curcumin putatively stabilizes the interaction between the nucleotide binding and phosphorylation domains in the absence of ATP. U. Eckstein-Ludwig, R.J. Webb, I.D. Van Goethem, et al. Artemisinins target the SERCA of Plasmodium falciparum. M.H. Pan, S.Y. Lin-Shiau, J.K. Lin. Heme oxygenase-1: the emerging molecule has arrived. R. Motterlini, R. Foresti, R. Bassi, C.J. Green. Curcumin, an antioxidant and anti inflammatory agent, induces heme oxygenase-1 and protects endothelial cells against oxidative stress. c-Jun N terminal kinases (JNK) are activated in the brain during the pathology of experimental cerebral malaria. N.P. Aditya, G. Chimote, K. Gunalan, R. Banerjee, S. Patankar, B. Madhusudhan. Curcuminoids-loaded liposomes in combination with arteether protects against Plasmodium berghei infection in mice. F. Akhtar, M.M.A. Rizwi, S.K. Kar. Oral delivery of curcumin bound to chitosan nanoparticles cured Plasmodium yoelii infected mice. A.P. Nayak, W. Tiyaboonchai, S. Patankar, B. Madhusudhan, E.B. Souto. Curcuminoids-loaded lipid nanoparticles: novel approach towards malaria treatment. A. Martinelli, L.A. Rodrigues, P. Cravo. Plasmodium chabaudi: efficacy of artemisinin+curcumin combination treatment on a clone selected for artemisinin resistance in mice.